Today’s entry in the ever growing and competitive aftermarket AR Trigger field comes from Velocity Triggers of Phoenix Arizona. Velocity Triggers traces it’s origin from owner Tom Vehr. Toms experience come from 14 years at Timney Triggers. Velocity Triggers parent company Vehr Manufacturing provides triggers to Knights Armament for their rifles. 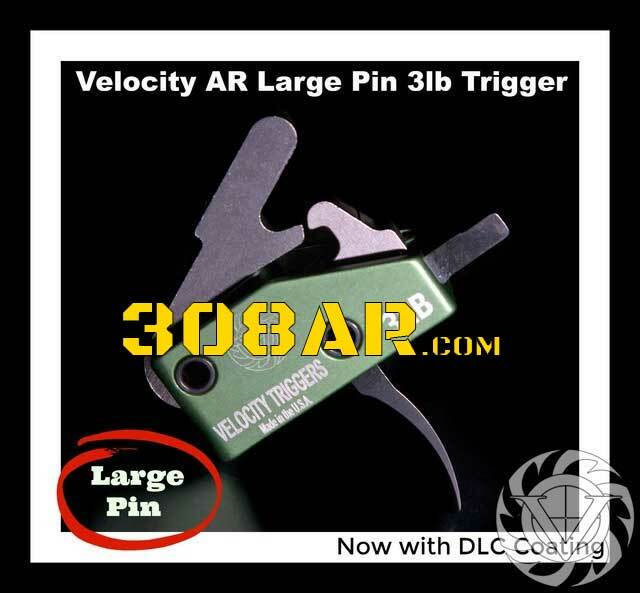 At a cost of $150 the Velocity Triggers is positioned to compete with the fantastic CMC Triggers as well as those of Toms previous employer Timney Triggers. What is Velocity Triggers DLC Coating? The latest innovation of Velocity Triggers is Diamond Like Carbon Coating (DLC) on the trigger which will give your Velocity Trigger the highly effective combination of a low coefficient of friction and high micro-hardness, its also a surface that will not rust and gives your trigger a deep dark black color. Simply stated, the Diamond Like Carbon Coating (DLC) results in a greater wear resistance over the life of the trigger. The trigger group comes as a pre-assembled housing. It is designed to be installed into any AR lower receiver and drops into your gun easily. No Gunsmithing is required. Housing for the trigger assembly are machined from 6061T6 billet aluminum and black anodized to provide a lifetime of durability. The Hammer and Disconnect are treated with NP3 by Robar to provide super smooth feel shooters expect from a high quality trigger. IF YOU HAVE A POLYMER LOWER, we recommend putting a Velocity stainless steel shim underneath the trigger to protect the polymer lower.